Ryanair, Europe’s largest low-cost airline, faced the heat of social media anger over the summer after they were hit with mass strikes and cancellations. Since April of this year, well over a million Ryanair passengers in Europe have experienced delays or cancellations. The latest one-day pilots' walk-out on 10 August led to the cancellation of nearly 400 flights and left some 50,000 people (either departing or returning from holidays) stuck in airports. Under European regulation (and for as long as the UK is still a part of Europe), customer therefore were able to demand proper compensation for their delayed or cancelled flight. Related coverage: <a href="https://thegoldwater.com/news/33550-EU-50-000-Tourists-Affected-As-Ryanair-Strikes-Video">50,000 tourists affected as Ryanair strikes (Video)</a>. Known as EU261 and hung on posters at any European airport, the compensation for intra-European flights is set at €250 for flights of up to 1,500km and €400 for longer flights. However, due to an administrative error, many of the cheques sent out were without a proper signature on them, and therefore unusable. Mr Gordon Fong received €600 as his flight home from Spain was first diverted and then landed at a different UK airport (leaving him with a 150-mile taxi journey to his home in Bournemouth), but when he took time off from work to cash it, the bank told him the cheque was useless. Mr Fong: "When I received the cheque there was no signature. I took time off work to drive to the bank but was told by the teller I couldn't use it. I had to go back to the website to try and get them to respond and send a new cheque, but I still haven't had a reply." 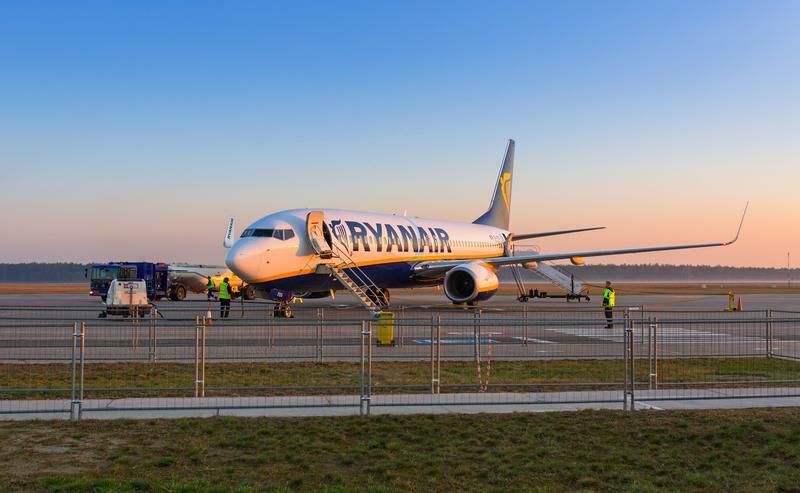 Another couple, who saw their 25th wedding anniversary trip ruined because of the Ryanair strike, was even charged with an extra fee by their bank. Ms Karen Joyce: "I was totally dumbstruck. We were loyal Ryanair customers and for them to bounce the cheque as well I just thought was disgusting,"
Ryanair has issued a UK-wide apology for the mishap and blamed the problem on an "administrative error".